Off Road Podcast Episode 158 - Mathews Madness! 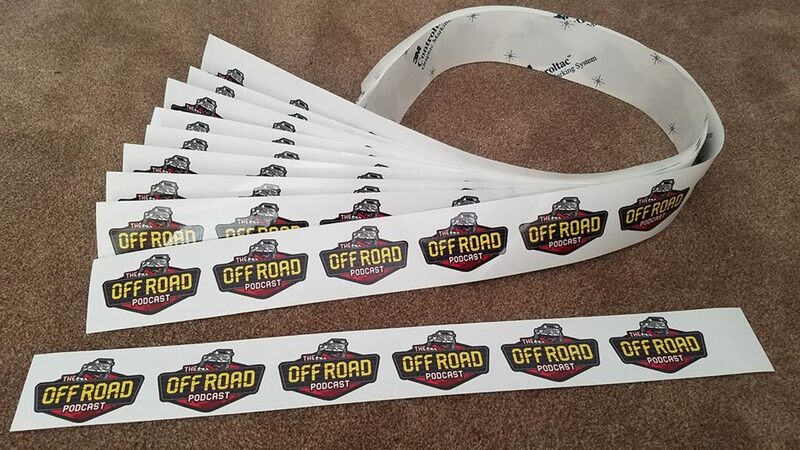 Welcome to the Off Road Podcast. I'm your host, Ben. Today we will be exploring the off road world-- whether you like crawling up rock ledges or enjoy exploring the backroads with your family. Stay with us to find out events in your area, off road news, and topics to interest every guy & girl who craves the outdoors as seen through the windshield. I am here with my co-host Joe. How’s everyone doing tonight? Monty wrote: My wife and I were touched and moved by your episode 150A podcast and the kindness you gave our daughter Adelyn, who is the blind girl you refer to at the 1:14:15 mark of your episode. You allowed her to examine your Gambler 500 rig when she requested to, if you don’t recall. I just happened to be listening to your podcast 150A here late October, since my two boys and I participated in our first Gambler together this last July. We are consumed by everything Gambler now and officially acknowledge we have a “Gambling Problem”. Otherwise I might never have stumbled onto your podcast. Just a fluke I was listening (and it’s great by the way). My wife had told me about your nice gesture that same day at Portland Meadows back in July, but neither of us had a clue Adelyn would wind up in anyone’s podcast. I must have been getting a 10 Barrel beer (I think they were a sponsor... lol) at the moment of car examining. By the way, the beer was not the same price at PDX Meadows as they were at Hoodoo. Free 99 handed out by 10 Barrel at Hoodoo versus $6 at Meadows sold at concession... but the dust had been thick and I was parched. P.S. Adelyn is 12 years old, 100% blind from birth. We adopted her from China and the other two girls you mentioned that were there with my wife. They are all a treasure, and Adelyn is Gamblin’ material if technology can ever make it happen for her. Doug wrote: One sticker please. Keep up the good work. Really dig you guys are local. Ben I think you are real local. I live in Steilacoom. Take care guys. Ps if you guys want to do some coyote hunting this year I would love to tag along. Very ethical, safety conscious, Vet hunter. Take care guys. What are five items you would recommend to a beginner? You have been down to baja during the races, what has that like? who were you with? What ignited the spark in you to start up your shop? What is ultra 4 racing, and what does it entail? What's the adrenalin rush like? What class is your rig? What preps have you made to go to KOH? What was qualified like at your last race? Have you broken lots of stuff? Where can the people follow your race car and your business? Are there other races or events that you want to do but haven’t yet? We are a proud part of the firearms radio network. firearmsradio.tv your one stop shop for your firearms radio entertainment. Please leave us some feedback at offroadpodcast@gmail.com also leave us some comments on itunes, our web page or on your podcatcher app to help promote the show. Full show notes available at firearmsradio.tv/the-off-road-podcast/158. Don't forget to visit our facebook facebook.com/offroadpodcast or our Instagram @offroadpodcast. And always, when offroad please remember be smart, courteous, alert, safe and as always have fun & tread lightly, And thank you for listening.